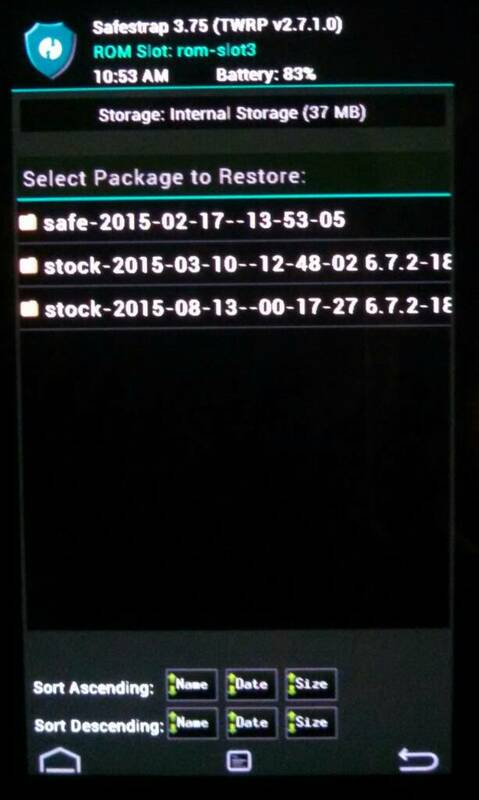 Because of the Locked Bootloader, the Stock Recovery cannot be replaced. In this custom recovery, Custom Roms can be installed, along with other functions that a custom recovery allows. 3.75 is compatible with older roms. Select a package Installer (Shouldn't matter Which one). Select with Volume UP button, should boot directly to SafeStrap (if it's still there). Recommend that you backup current rom before installing a new rom, especially if you are going to install over Stock Rom. Partition Sizes cannot be changed again without deleting Rom slot. Don't worry screen time just timed out, tap touch screen to wake. After rom slot is created, it should be automatically selected. 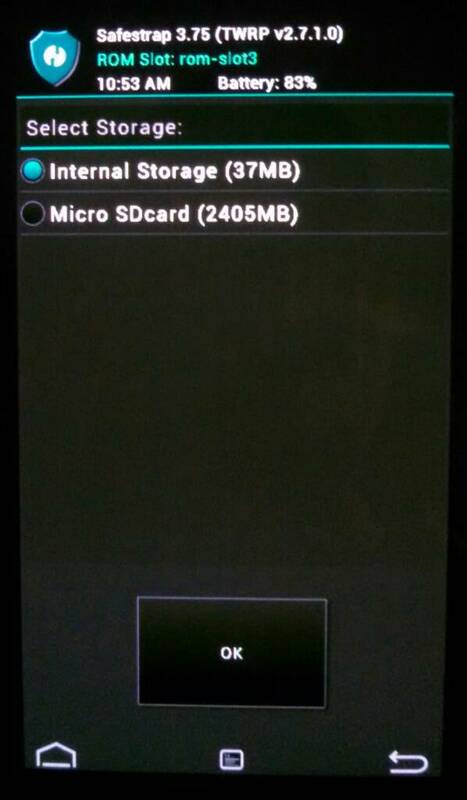 Select Storage option Internal or External SD card that rom zip is on. when you see Wipe Cache/Dalvik and Reboot options it's done. Rom should should boot within 10 mins, if it doesn't something's wrong. Sometimes Dev posts a link to preferred GApps version. Be sure to install a GApps Version that matched Android version of Custom Rom. can i backup stock rom using stock slot?? and restore using stock slot?? You can backup any slot, and restore on any slot.